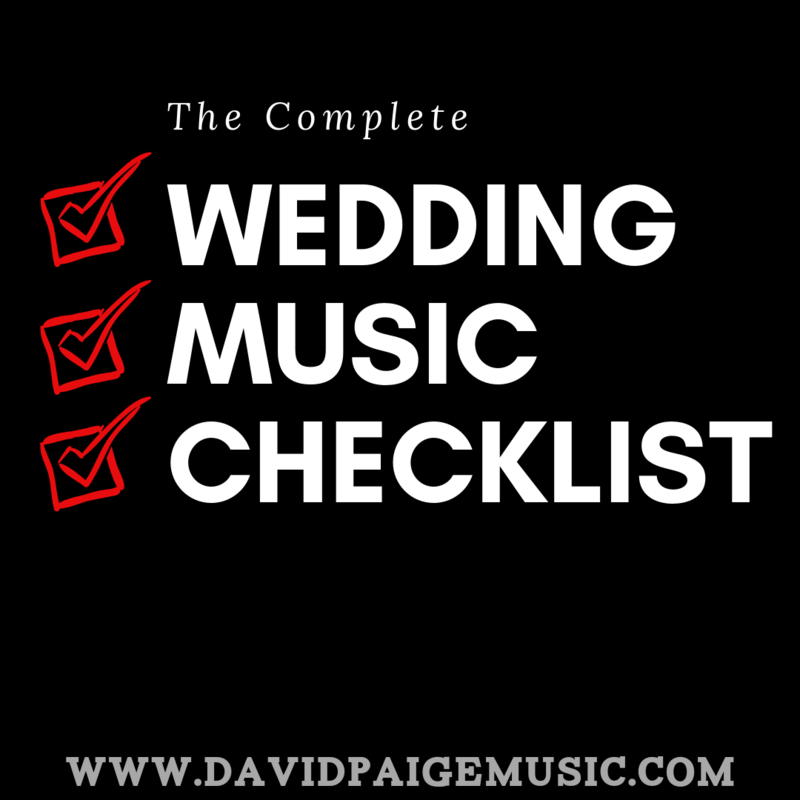 That's why I created the Complete Wedding Music Checklist to help you select your music for your wedding. Click on the download button below to get your copy. When my wife and I were planning our wedding, this definitely would have come in handy! We were so overwhelmed by the number of details that we had to manage that we always felt like we were somehow going to miss something. While, I hope you will choose us to be with you for your big day, I honestly just want to help relieve any stress I can in the music department. If you have any questions or if you want to discuss some of your options for music on your wedding day, please feel free to email me directly at david@davidpaigemusic.com. You will immediately receive an email with a downloadable PDF of the Complete Wedding Music Checklist!